Karen Thompson wants Seahawks to love where they live. 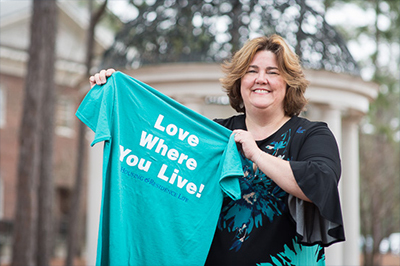 As the communication specialist for the Office of Housing and Residence Life, she enjoys her role in building a strong sense of community for students at UNCW. 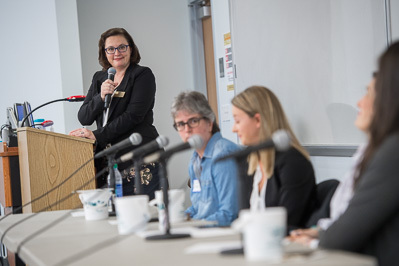 Associate professor of communication studies Jeanne Persuit presides over the "Women in Media" panel discussion on March 20. The event was part of COM Studies Week, March 19-23.